Today, I’m excited to report, we’re opening up the store for preorders and subscriptions, as we get ready to ship our Spring 2016 print journal on May 2. While we returned to the page last fall with ND’s first print edition in seven years, we are now committed to producing a quarterly print journal – with no advertising, printed on high-quality, 100 percent recycled paper. 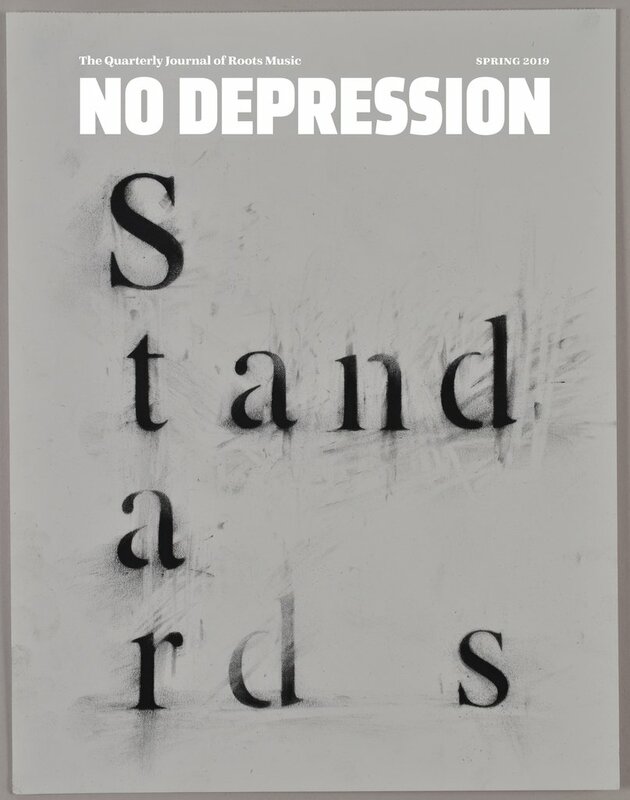 Sales of the quarterly journal will directly benefit the giving programs we announced recently under the FreshGrass Foundation, including the annual No Depression writing fellowships, which I’ll be telling you more about this summer. But right now, as the magnolias transition from flowers to leaves and the tulips spread wide in every yard I see, it’s time to talk about spring. Our Spring 2016 edition follows the theme of “Roots & Branches,” two words we throw around a lot in this area of music, without ever really talking too much about what they mean. This music, after all, is about more than just an aesthetic or a trend. If we’re going to talk about the roots of American music, it stands to reason we should follow them as deep as they go. When I asked folk musician and author Scott Alarik what that brought to mind for him, he immediately named 18th-century Scottish poet Robert Burns … of course. Then, as he went on, it became clear that, during a time when America’s culture was quite young, Burns’ poems and folk songs were making a major impression on the average folks populating the budding republic. His insistance that the folk melodies and local vernaculars of working people had value, without needing to be polished up the way his musical contemporaries – like Ludwig van Beethoven – were appropriating them, made an impression on early songwriters like Stephen Foster and Woody Guthrie, not to mention mid-20th-century trailblazers like Bob Dylan. Alarik’s exploration of Burns’ two-century influence on the trajectory of both American and UK folk music opens the Spring issue, setting us down a path through some of the most unexpected woods. Other long features in this issue include stories around Howlin’ Wolf – the way harmonicists such as himself laid a foundation for an American roots music “revival,” and the way his guitarist, Hubert Sumlin, influenced a generation of blues players. Erin Lyndal Martin digs into the life and work of Sister Rosetta Tharpe, exploring how gospel music got a foothold on rock and roll, before we follow her legacy out, to the incredible Mavis Staples and beyond. Historian Denis Gainty dives deep into Japan’s longstanding love affair with bluegrass, which drops us off at the half-century-long tale of David Grisman’s unwavering allegiance to acoustic music – a story by award-winning author Kent Gustavson, which touches on the influence of Bill Monroe, Ralph Rinzler, Jerry Garcia, and the careers of the original members of the David Grisman Quintet. Branching out from each of these are shorter features about some of the most deeply rooted talents in contemporary music: Pokey LaFarge, Dori Freeman, Willy Vlautin, Ruby Amanfu, Anderson East, Tommy Ash, Nikki Lane, Tim O’Brien, Darol Anger, the Railsplitters, Front Country, and a new generation of Oklahoman musicians and singer-songwriters: Parker Millsap, John Fullbright, John Moreland, Samantha Crain, Jesse Aycock, Travis Linville, and more. Once again, all of these stories are told alongside stunning photography from Phil Clarkin, Jason Goodman, Tim Duffy, Danny Clinch, Rambo, and more. 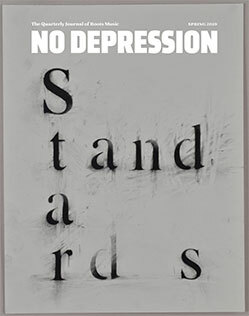 There’s also plenty of original illustration from Drew Christie, Marc Harkness, and Colin Sutherland; and the cover was designed by longtime ND favorite – and frontman of the Waco Brothers – Jon Langford. 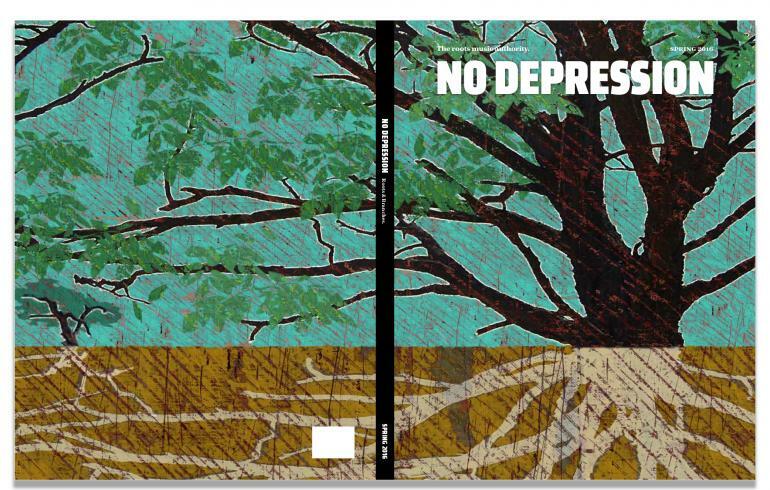 At 156 pages, the Spring 2016 issue of No Depression is a little longer than our Fall 2015 edition, and completely free of advertising. So, follow us into this unexpected forest of stories, as we explore the ways all these roots intertwine. And, even as we get to work on the Summer, Autumn, and Winter editions, we hope you’ll trust that each issue of the new ND journal will follow another deeply interesting theme, opening your eyes to the inspiring stories behind some of the best music you’ll find in the world today. Subscribe now, or just buy a copy of the Spring edition.